Great Mosque at Songo Mnara. The earliest pre or proto-Swahili sites date to the first century AD, when the unnamed Greek sailor who authored the merchant's guide Periplus of the Erythraean Sea, visited Rhapta on what is today the central Tanzanian coast. Rhapta was reported in the Periplus to be under the rule of Maza on the Arabian Peninsula. The Periplus reported that ivory, rhinoceros horn, nautilus and turtle shell, metal implements, glass, and foodstuffs were imports available in Rhapta. Finds of Egypt-Roman and other Mediterranean imports dated to the last few centuries BC suggest some contact with those areas. By the 6th to 10th centuries AD, people on the coast were living in mostly rectangular earth-and-thatch houses, with household economies based on pearl millet agriculture, cattle pastoralism, and fishing. They smelted iron, built boats and made what archaeologists called Tana Tradition or Triangular Incised Ware pots; they obtained imported goods such as glazed ceramics, glassware, metal jewelry, and stone and glass beads from the Persian Gulf. Beginning in the 8th century, the African inhabitants had converted to Islam. Archaeological excavations at Kilwa Kisiwani and Shanga in Kenya have demonstrated that these towns were settled as early as the 7th and 8th centuries. Other prominent sites of this period include Manda in northern Kenya, Unguja Ukuu on Zanzibar and Tumbe on Pemba. The earliest mosque on the Swahili coast is located in the town of Shanga in the Lamu Archipelago. A timber mosque was built here in the 8th century AD, and rebuilt in the same location, again and again, each time larger and more substantial. Fish became an increasingly important part of the local diet, consisting of fish on the reefs, within about one kilometer (one-half mile) from the shore. In the 9th century, connections between Eastern Africa and the Middle East included the export of thousands of slaves from Africa's interior. The slaves were transported through Swahili coastal towns to destinations in Iraq such as Basra, where they worked on a dam. In 868, the slave revolted in Basra, weakening the market for slaves from Swahili. By ~1200, all of the large Swahili settlements included stone built mosques. Through the 11th-14th centuries, the Swahili towns expanded in scale, in the numbers and variety of imported and locally-produced material goods, and in trade relationships between the interior of Africa and other societies around the Indian Ocean. A wide variety of boats were built for sea-going trade. Although most of the houses continued to be made of earth and thatch, some of the houses were built of coral, and many of the larger and newer settlements were "stone towns", communities marked by elite residences built of stone. Stonetowns grew in number and size, and trade blossomed. Exports included ivory, iron, animal products, mangrove poles for house construction; imports included glazed ceramics, beads and other jewelry, cloth, and religious texts. Coins were minted in some of the larger centers, and iron and copper alloys, and beads of various types were produced locally. In 1498-1499, the Portuguese explorer Vasco de Gama began exploring the Indian Ocean. 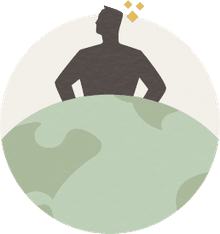 Beginning in the 16th century, Portuguese and Arab colonization began to decrease the power of the Swahili towns, evidenced by the construction of Fort Jesus in Mombasa in 1593, and the increasingly aggressive trade wars in the Indian Ocean. The Swahili culture fought variously successfully against such incursions and although disruptions in trade and loss of autonomy did occur, the coast prevailed in urban and rural life. By the end of the 17th century, the Portuguese lost control of the western Indian Ocean to Oman and Zanzibar. The Swahili coast was reunited under the Omani sultanate in the 19th century. Chami FA. 2009. 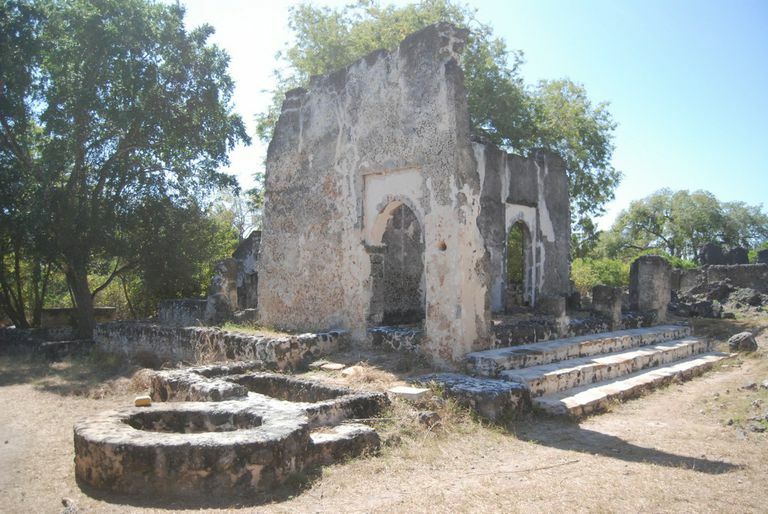 Kilwa and the Swahili Towns: Reflections from an archaeological perspective. In: Larsen K, editor. Knowledge, Renewal and Religion: Repositioning and changing ideological and material circumstances among the Swahili on the East African coast. Uppsala: Nordiska Afrikainstitututet. Phillipson D. 2005. African Archaeology. London: Cambridge University Press. Pollard E. 2011. Safeguarding Swahili trade in the fourteenth and fifteenth centuries: a unique navigational complex in south-east Tanzania. World Archaeology 43(3):458-477. Sutton JEG. 2002. The southern Swahili harbour and town on Kilwa Island, 800-1800 AD: A chronology of booms and slumps. : Uppsala University. Who Were the Sultans of the Swahili Culture?